One of the main challenges people who've been incarcerated face when trying to get back into society is finding a job. One of the biggest barriers to getting a job is not having a driver's license, especially in cities where public transportation is scarce. Just like the reentry-focused Center for Employment Opportunities, or CEO, we believe that everyone deserves a second chance to work toward a better future for themselves and their communities. We are proud to be supporting CEO to help their participants get driver's licenses and unlock access to employment opportunities. As a company, increasing government service accessibility is core to our identity, but by helping CEO's participants get driver's licenses faster, we also maximize their chance of landing a job quickly which lowers the risk that they'll reoffend by a whopping 90%. Here's our story about how we came to help participants of CEO and support their mission. "The need for participants in our program to get a driver's license is tremendous. We see on a regular basis that it opens up a lot more opportunity for them. So many employers still have a stigma with the reentry population and this helps a lot with that," says George Colon, an account manager with CEO in the Bay area. He actively works to help the reentry population find jobs. CEO helps qualified participants with job readiness training, transitional employment, job coaching and employment, and employment retention services. And job readiness, for many former inmates, means getting a driver's license. While many reentry participants with CEO can certainly go to their local DMV, take the written test, and get their driving permit, the problem, Mr. Colon noticed, was that most didn't have access to a car to take their road test. The road test is the final step to getting a license. So what invariably happened was many wouldn't be able to take their road test, their permit would expire, and they would then be stuck without a license or have to go through the process all over again. "It was that particular need that led me to YoGov. Essentially, we needed an option to have a participant borrow a vehicle for a few hours and go to the DMV with a licensed driver," said Mr. Colon. He's referring to YoGov's Road Test Concierge service, where YoGov matches clients with cars and drivers to take their road test - a service now available in 25 states. Mr. Colon and YoGov have been working together ever since to help former inmates take and pass their road test to get their license. 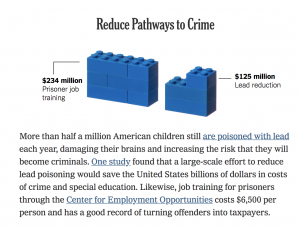 Nicholas Kristof Talks About CEO in the Sunday New York Times opinion piece on February 9, 2019, "How I would spend Trumps wall money". According to CEO's website, "We provide immediate, effective, and comprehensive employment services exclusively to individuals who have recently returned home from incarceration." They are a national non-profit organization that opened its doors in 1996, now operate in 21 cities across 8 states, and boast more than 30,000 full-time job placements for formerly incarcerated individuals. Mr. Colon estimates that, of the 150 or so enrolled in the Bay area CEO program at any given time, about 85-90% don't have driver's licenses. "'You need to get a driver's license' is a conversation we have with every participant," says Colon. Many available jobs require a driver's license are not driving jobs. For example, many workers want to work for the California Department of Transportation, or CalTrans, but they can't even apply without a driver's license. Even many so-called independent work opportunities require driver's licenses too. Of course, driving for Uber, Lyft, or DoorDash have a driver's license requirement, but even newer gig opportunities require a driver's license. For example, scooter companies Lime and Bird require their scooter chargers have driver's licenses too. Luckily for CEO, Lime is also partnered with the organization and assists in placing CEO participants as independent contractors for the company. A CEO participant named Lapria was on track to get a job. She had her permit and tried going with a friend to take her road test. Unfortunately, she was turned away because the car her friend had did not meet the DMV's requirements. That's when Lapria and Mr. Colon came across YoGov. She became the first CEO participant to use the company's car and driver service. Aside from needing a car for their road test, folks like Lapria first need a road test appointment. When Mr. Colon and Lapria first got to work looking for one, the soonest they could find was 2 months away. When you have very limited resources and need a job, every week of waiting means missing job opportunities. This is a huge burden on CEO and its participants. They needed something much sooner. The YoGov team got to work. Instead of a months-long wait, YoGov was able to find Lapria an appointment within a few days. She got set up with the car and driver service and passed her road test! Says Lapria, "Getting a license was a really important milestone for me. I lost my parents at a young age. I wanted to be able to finally say that I passed this milestone." As for the actual road test itself, Lapria was impressed with her experience. "I really like that I had time at the beginning of the test to get comfortable with the vehicle. It was a great experience with Rick. I even referred someone else recently," she said. Thanks to her new license, Lapria now has a job and is saving up so she can buy a car. If you're curious about what services we currently offer, check out our services page.